Biolase is a new form of technology that is not only used to treat TMJ, but also can be used for ideal bracket placements, soft tissue treatments and the removal of bacteria and infection from the tooth. Dr. Ana Scopu is one of the 6% of Dentists that own laser technology covering such treatments. There are many benefits that accompany the Diolase Laser (a form of Biolase technology), besides being a noninvasive tool, there is often little to no need for the usage of Anesthesia. As one of the top rated tools for decreasing patient anxiety and pain, those who feel uncomfortable with the usage of needle or tool-to-tooth contact will be much happier and adjusted with the Diolase tool. The Devices efficiency and versatility in treating patient’s teeth, makes it a painless, great tool for both practitioners and patients when used. 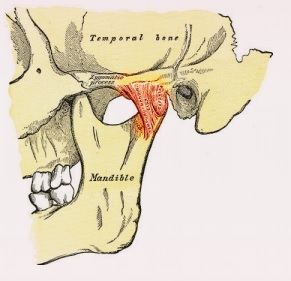 TMJ disorders cause tenderness and pain in the temporomandibular joint (TMJ) — the joint on each side of your head, in front of your ears, where your lower jawbone meets your skull. This joint allows you to talk, chew and yawn. Between 5 and 15 percent of people in the United States experience pain associated with TMJ disorders, according to the National Institute of Dental and Craniofacial Research, part of the National Institutes of Health. Women are more likely than men to develop TMJ disorders.In most cases, pain and discomfort associated with TMJ disorders can be alleviated with self-managed care or nonsurgical treatments such as laser therapy. At DentAlign Studio Dr Scopu can use this laser technology to administer 20 minute sessions to manage TMJ pain. Dr Scopu reccomentds 3-4 sessions every 2-3 days. If you’d like more information, feel free to leave a comment or give us a call!